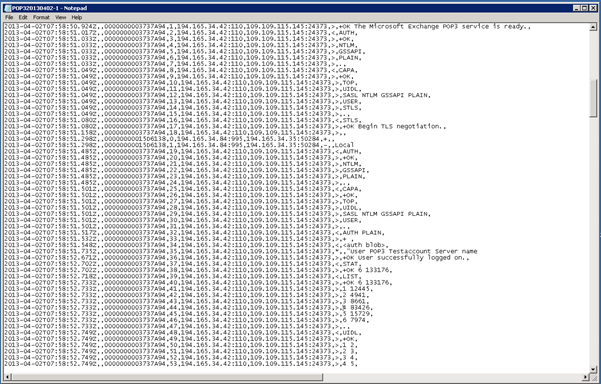 When installing lots of Exchange servers, automation with PowerShell scripting can be very useful. This will ensure you get a consistent platform, and it reduces the chance of errors and misconfiguration. For a customer I had to deploy 38 Exchange 2013 servers, and they were using POP3 and IMAP4 as well, so these services need to be installed on all Exchange 2013 servers. By default, POP3 and IMAP4 are not running on an Exchange 2013 server, and the service Startup Type is set to Manual. You can change the startup type to automatic using the Services MMC snap-in, but for 38 Exchange 2013 servers this isn’t funny anymore. There’s all kind of interesting information here, but the most important thing, the Startup Type information is missing here. Get-WmiObject -Class Win32_Service -Property StartMode -Filter "Name='MSExchangePOP3'"
Please note the single and double quotes in the Filter option! Again, you can use the –ComputerName option to retrieve this information from another server. Note. On an Exchange 2013 (and Exchange 2016) server POP3 and IMAP4 are actually two services. There’s the CAS component (MSExchangePOP3) and the Mailbox server component (MSExchangePOP3BE). These services need to changed independently. The same is true for the IMAP4 service.